Douglas Rain, the veteran Canadian stage actor who provided the soft and gentle voice of the rogue HAL 9000 computer for Stanley Kubrick’s classic 2001: A Space Odyssey and its sequel, has died. He was 90. Rain died Sunday morning at St. Mary’s Memorial Hospital outside Stratford, Ontario, the Stratford Festival announced. 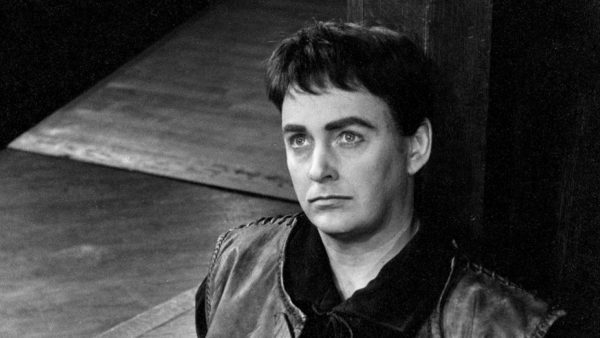 A native of Winnipeg, Manitoba, Rain trained at the Old Vic Theatre in London, performed in a host of Shakespearean plays at the Stratford Festival and received a Tony Award nomination in 1972 for his turn opposite Claire Bloom in Robert Bolt’s Vivat! Vivat Regina!. “Well, we had some difficulty deciding exactly what HAL should sound like, and Marty just sounded a little bit too colloquially American, whereas Rain had the kind of bland mid-Atlantic accent we felt was right for the part,” Kubrick told Newsday film critic Joseph Gelmis in an interview for the 1970 book The Film Director as Superstar. Kubrick told Rain that he had made the computer “too emotional and too human.” So, in late 1967, the actor flew to New York City and spent a day and a half — about 9 1/2 hours in all — to voice HAL.